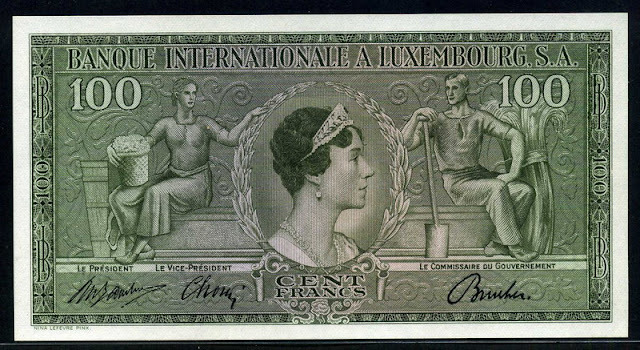 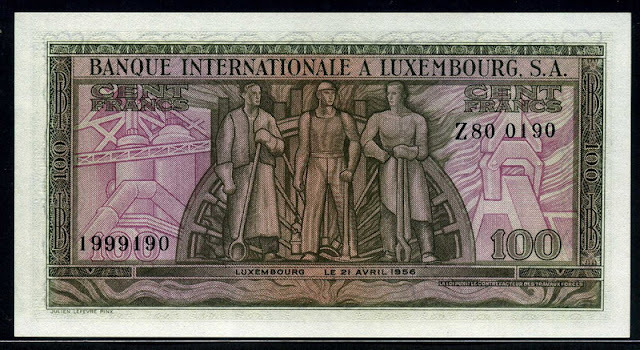 Luxembourg banknotes, Luxembourg paper money, Luxembourg bank notes, Luxembourg currency, Luxembourgish franc, Franc Luxembourgeois, Luxemburger Franken, Luxembourg currency image, Luxembourg money, Luxembourg currency gallery. Obverse: Portrait of Grand Duchess Charlotte of Luxembourg at center, farmer at right, farmers wife at left. 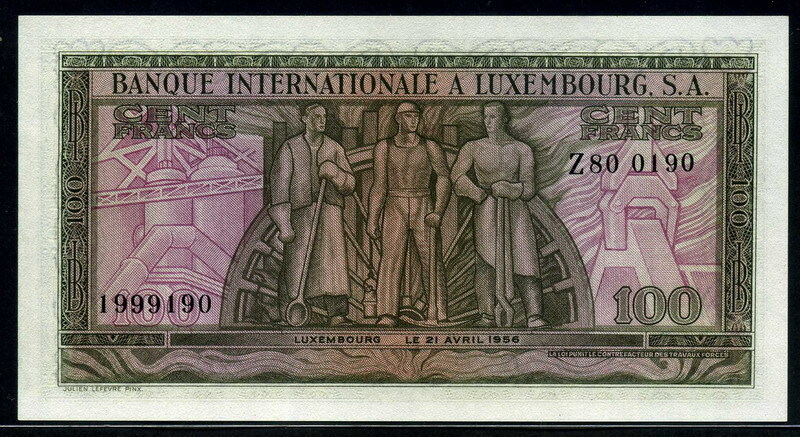 Reverse: Artwork depicting a three steelworkers.